In an earlier post, I mentioned my online writing group, Scribblers’ Den, and hinted vaguely that there was more to come. Well, there was indeed, and it’s here now. Wait, what is? 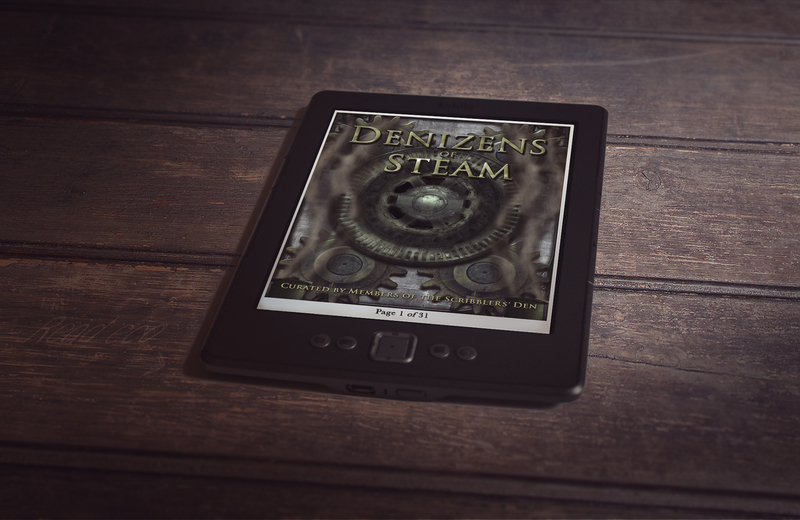 As I said, it’s a collection of Steampunk tales of fantasy and high adventure. It’s also the Scribblers’ Den’s first anthology, and it was written, curated, and edited by members of the den. It includes short stories written by Steve Moore, N.O.A. Rawle, David Lee Summers, C.L. Zeitstück, Katie Alford, William J. Jackson, Bryce Raffle, Alice E. Keyes, Albrecht von Saarbruchen, Karen J. Carlisle, Jenny Jobe, and J.P. Paradise. And it includes a foreword by Scribblers’ Den founder, Jack Tyler.